Faeber has been slowly gaining a rep for his interesting take on a dysfunctional superhero family in Noble Causes, but I never really thought him as anything other than a talented, underrated superhero writer…..until Near Death. It’s the story of Markham, a badass hitman who starts our story badly shot and….wait for it….NEAR DEATH. Heh. While under the knife, he has a vision of what he identifies as Hell, where his dead victims tell him that he needs to make up for what he’s done. The beauty of Faebers’ tight scripting is that not only are we told all of this by page 12 of the first issue, but we’re well into Markham’s new mission of redemption by page 13. 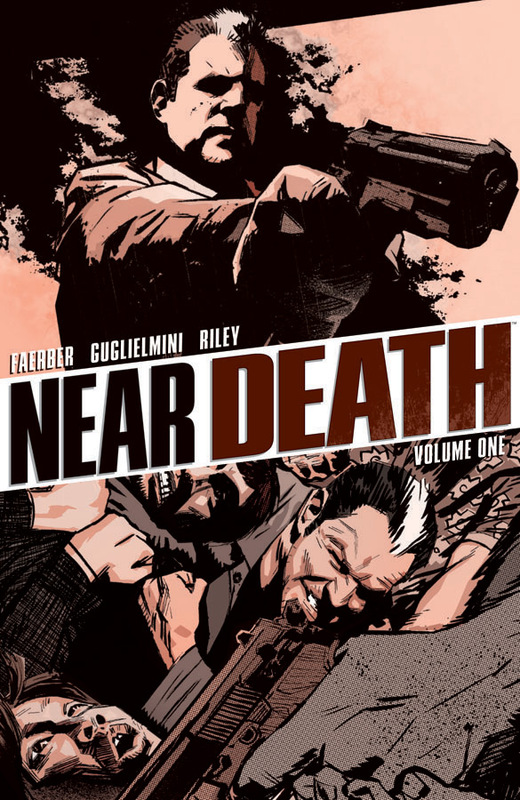 Faeber credits the TV work of Stephen Cannel for the inspiration behind Near Death, and while that shows, its other 80’s TV shows like The Equalizer that really came to mind while reading this. Each story is fairly self-contained to one or two issues, with a larger theme of attempted redemption being ever-present, but rarely an actual plot point. The TV feel is prevalent in the writing, but Simone Guglielminis’ fine, expressive artwork is what grounds this story firmly in the comic book medium. This book was an extremely welcome surprise. It’s a well-crafted, exciting, and hard-hitting addition to the ‘hitman” genre, and fits well alongside books like classics like The Killer or Button Man. This is the story of Jack Long, a white reporter specializing in “race stories” in 1967 Houston, and his family. 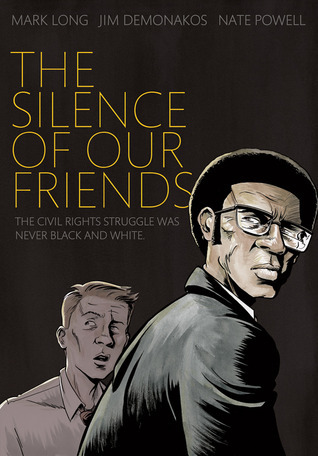 It’s also the story of Larry Thompson, a black professor trying to organize SNCC campus marches, and his family. Silence is an autobiographical account of how those two families came together, but it’s also a snapshot of one of several “ground zeros” of that era of American history. Co-written by Long’s son Mark, the script is an emotionally powerful one, but it never delves into melodrama. It’s the shades of grey that I particularly appreciated, with much care and detail given towards making the characters (and as a result the story) as well-rounded and objective as possible. Both men truly want to “do the right thing,” to steal a phrase, but they’re also not immune to societal pressures, and their motivations are not all together pure. And yes, it’s that Nate Powell that handles the art chores here and he continues to showcase why he’s become one of the most distinctive voices in modern comics. The man captures movement more effectively, than almost any artist working today, and things as simple as weather, or a choir singing, become characters in their own right, under Powell’s hand. My only question would be how First Second could have possibly have allowed pages as beautiful as these to be condensed into a digest size book? An early pick for “Best of The Year” consideration. This second volume of Bulletproof Coffin is a love letter to 1950’s and 1960’s comics, as seen through the eyes of Shaky Kane and David Hine. I find it ridiculously difficult to explain what BC is actually “about,” so I usually just say that it’s about cliches…specifically comic clichés. 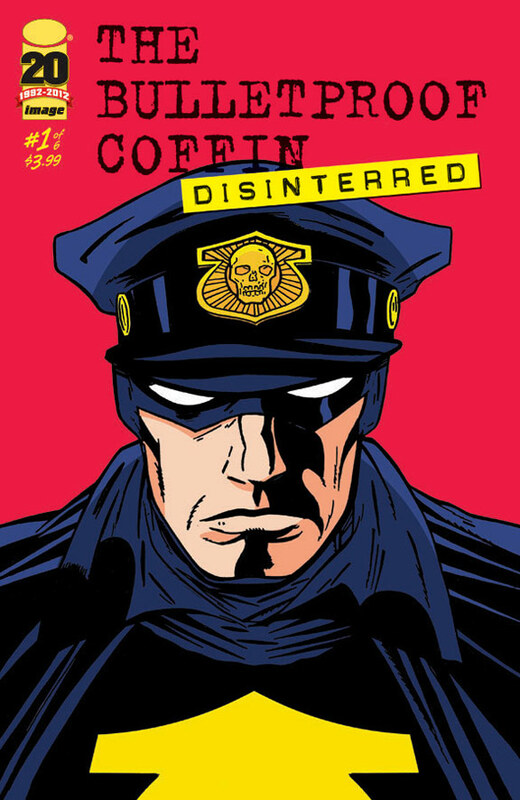 On its surface, the first issue is a typical superhero origin story, with the Shield Of Justice telling us exactly how and why he became a costumed vigilante. It’s only upon a closer look that we find that its really the near-terrifying diary of a crazy person using superhero trappings to disguise his ever-increasing paranoia. The second issue continues along the same path, with Tales From The Haunted Jazz Club, an homage to not only EC comics but also the horror anthology books that DC made so famous in the 1970s. The issue contains three stand-alone horror stories, as told by patrons of a 1950s beatnik jazz club. The horrors here are all physical in nature, and are all variations of the “mad scientist going one step too far” genre. These stories have been told a thousand times, to be sure. And that’s kind of the point. These talented creators show how even the most hackneyed of stories can read as eminently fresh, with Hine and Kanes’ absolute love for this medium shining through on every page. This entry was posted in Comic Books and tagged Bulletproof Coffiin, Near Death, Silence Of Our Friends. Bookmark the permalink.